The Health and Wellness Division is rolling out a new program in 2019: the Family Fitness Initiative. The goal is to have tribal members and families be active together and stay active throughout the whole year. The program will be rolled out in January 2019. Each family will need to enroll with the Health and Wellness division. One parent must be a Ho-Chunk enrolled tribal member. 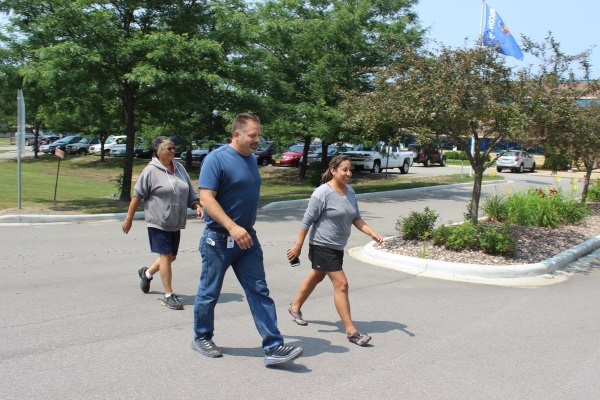 The program is designed to get families to participate in family friendly physical activity events that the Ho-Chunk Nation offers. Some of these events include the annual canoe trip on the Kickapoo River in Ontario, WI, snow tubing at Bruce Mound in the spring, JOH Conference, diabetes prevention classes (Prevent T2), diabetes management workshops (DM Workshop), HCN provided exercise classes, 5k walking/running events, HCN hiking events throughout the year and many more. A full list will be provided at registration. Information on the program will be released in December. Each family member will have heights and weights recorded at the beginning and end of the year. Health and Wellness Program Recruiters Lyndsey Killian and Rachel Montana will be offering information on classes and completing Family Fitness registration in their respective areas in January 2019. Rachel Montana will be servicing Black River Falls, Nekoosa and Wittenberg. Lyndsey will be servicing Madison, Wisconsin Dells, Tomah and La Crosse areas. If the outer branch offices wish to participate, they may contact the Health and Wellness Division to schedule a visit from one of the Health and Wellness staff members. Diabetes prevention and management programs are available in Madison, Wisconsin Dells, La Crosse, Tomah, Black River Falls, Nekoosa, and Wittenberg. Credit to the 2019 Family Fitness Initiative will be given for anyone attending and completing these classes. Participants do not need to have a referral from a physician. They may self-refer themselves to the program, as well. For more information or questions please contact the Health & Wellness Coordinator or one of the Program Recruiters at 715-284-9851.